What do you do with your old cell phones? Do you recycle them? Each year nearly two hundred fifty million phones cell phones are discarded and many get thrown away and end up in our trash and landfills. Cell phones contain toxic chemicals and hazardous materials such as copper, lead, arsenic and zinc products just to name a few of the concerning materials. And we all know what happens to stuff in landfills — It ends up leeching into our Earth, contaminating our water aquifers, poisoning our animals and thus harming all of us. 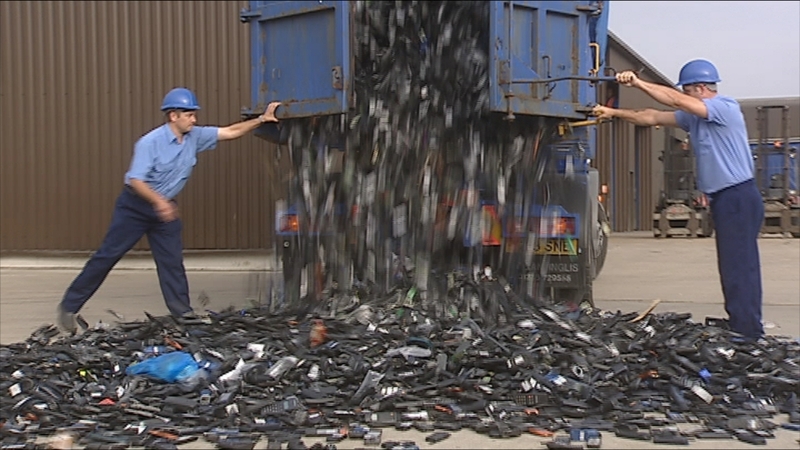 Recycle Mobile Phones in the UK is a company that is promoting the safe recycling of cell phones. The company provides useful information on suppliers who are paying cash for old cell phones. Through the process of phone recycling you can get your old cell phones disposed of correctly, into responsible hands. These companies know exactly what to do with the old models and how to recycle them efficiently and responsibly. Consequently, fix the phones (if need be) and put them to good and practical use again, as the phones were initially intended. For example, there are mobile phone recycling companies who repair old broken cell phones or use the parts to repair other recycled phones. Additionally some recycled cell phones are made available to under-developed countries, the military, and nations suffering from natural disasters, such as the recent major earthquake in Haiti, in which thousands of cell phones were sent to that impoverished nation. It is so easy to simply compare the best price you can get for your handsets that are just lying around and send it to a phone recycling company. Some mobile phone recycling programs will even prepay your delivery cost to help you out. So please check out Mobile Phone Recycling sites like recyclemobilephones.co.uk, to recycle your old phone and as they say in their slogan Get the most for your old mobile and do your bit for the planet!